RT’s Charlotte Dubenskij asked Le Pen if she expects a similar wave of protests that hit the US after Trump’s election to follow her potential victory in the French presidential elections. Tens of thousands of anti-Trump protestors took to streets across the US following his inauguration on January 20. Sister rallies were also held abroad. 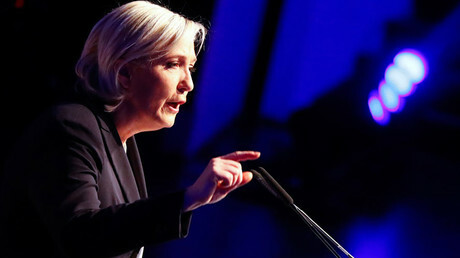 “France is a democratic country, when elections are over, we respect the result,” Le Pen told RT, speaking on the sidelines of her first conference as presidential candidate in Paris on Thursday. On Wednesday, the National Front leader, who has been recently gaining ground on her main opponent, Republican ex-PM Francois Fillon, made headlines after she was refused an entry to the refugee camp outside Dunkirk. Le Pen was barred from entering on the grounds she turned up without notifying the camp authorities prior to the visit. Le Pen, known as a vocal critic of France’s immigration policy, took issue to Twitter branding the incident “democracy a la francaise.” She argued that if the visit was announced beforehand, she would have been given a polished tour around. At an improvised press conference outside the camp, Le Pen then lambasted the government for failing to stop the influx of asylum seekers with what she believes is incoherent policy. “We tell immigrants that we don’t want them to come to France, but at the same time, we encourage the ones that are here to stay,” she said, as cited by The Express, calling on the authorities to stop providing refugees and migrants with “false hope” by sending mixed signals. The mayor of the town of Grande-Synthe, where the camp is located, added further fuel to the debate, claiming that he was behind the controversial decision to prevent Le Pen from inspecting the facility. 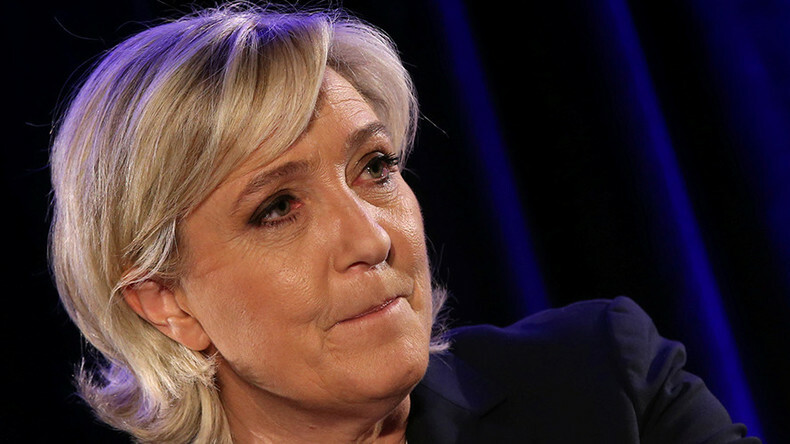 “I denied access to Marine Le Pen, who dared to show up! Humanity is the value she ignores!” Mayor Damien Careme wrote on Twitter. He also accused Le Pen of promoting hate and division. Patricia Chagnon, a French municipal councilor and member of the National Front, told RT that by refusing access to the camp for one of the major presidential hopefuls, the French authorities were infringing on democracy. “She is a candidate for the presidential elections, she wants to have a first-hand experience and sight of how the life is inside this camp. And we can only be extremely concerned about the fact that she was not able to go inside,” Chagnon added. The overwhelming number of migrants who crossed into Europe in 2015 at the height of the migrant crisis boosted the popularity of right-wing parties previously unseen on the main political scene. 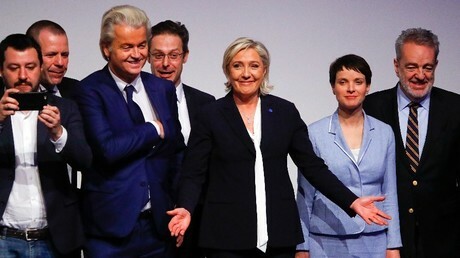 At a recent right wing conference in Koblenz, which boasted such participants as Geert Wilders, leader and founder of Dutch Party for Freedom (PVV), Frauke Petry from Alternative for Germany (AfD), Le Pen argued that the globalist world order is crumbling.